Located on the Atlantic coast in southern Uruguay, Punta del Este is known as one of the more upscale resorts in South America. Tourists flock here, especially in summer. The Mansa coastline to the east of Punta del Este is gentler, while the Brava coast to the west is rougher. The coastal location, beaches, and waterfront make for some wonderful running in Punta del Este. 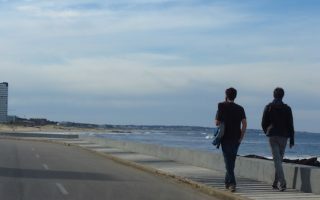 The best place to run in Punta del Este is along the 7 km loop of the peninsula, following the Rambla General Jose Artigas, wrapping around beaches and port, with great water views. Playa Brava offers several km of good running on fairly firm sand. The Barra neighborhood also offers some nice running. A great destination run is to take the quick ferry to the pedestrian-only Gorriti Island. Further west of Punta del Este, Lussich Arboretum has some lovely running trails. And it’s worth the 1/2 hour drive to Piriápolis to enjoy some fantastic coastal running and see the belle époque–style buildings. 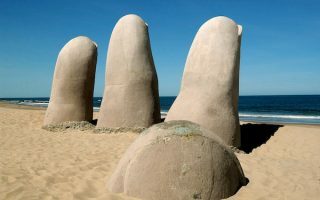 The signature run in Punta del Este is the nearly 7 km coastal loop that heads down to the point at Great Britain Square, then heads back up, passing numerous beaches and the famous Los Dedos beach sculpture. Great path and water views the whole way. A great beach for running in Punta del Este. Wide, with good sections of firm, packed sand. The beach stretches for nearly 5 km from the southwestern end at Los Dedos (Hand Sculpture) to the northeastern end at an isthmus in El Placer. Pedestrian-only National Heritage site 1/2 hr. by ferry from Punda del Este. Great destination for runners/walkers! Perimeter loop is ~5 km. Northern end more forested trails, southern end more along the water. Playa Honda is ~1 km long and runnable. 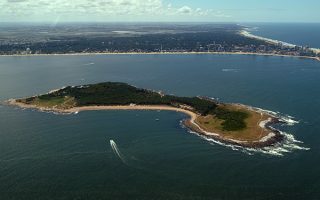 This resort area 40 km west of Punta del Este is wonderful for running. There's a 5 km waterfront path with great water views as you curve around the port. 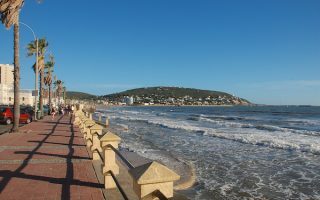 Piriápolis Beach is 3 km long and very runnable. For a challenge, run up the Hill of San Antonio! 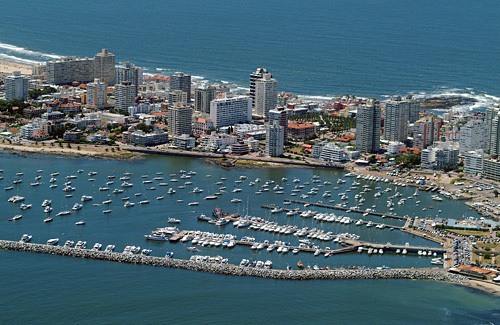 Punta del Este has pleasant weather nearly year-round. Summers aren’t as hot as in Montevideo, with average high temperatures a pleasant 25C (77F) and mild but not overly warm nights (might even need a layer!). Winters are not beach-y but are mild and pleasant for running, with average high temperatures in the 14-15C (55-60F) range, with nights dipping to 6-7C (mid 40s). Precipitation is fairly uniform year-round, although winters feature many more cloudy days.